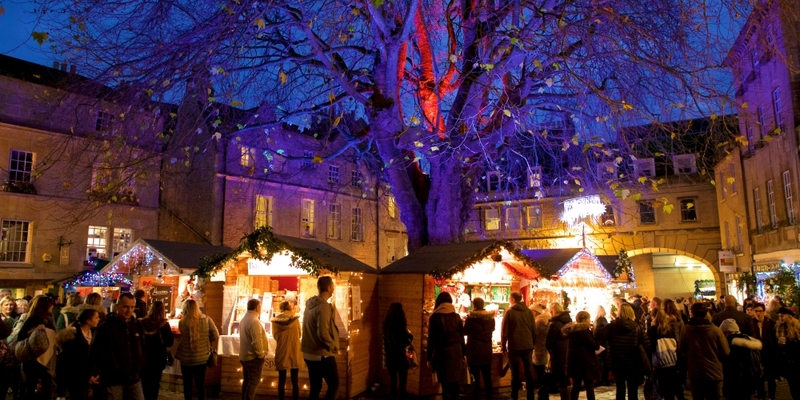 It may only be October, but you’ll need to get booking now if you’d like to visit Bath for the Christmas Market! This year it will run from the 22nd November to the 9th December. Click ‘book now’ on our homepage to book a festive stay at The Windsor! We are located just a few minutes walk from the City Centre (and all the chalets) while being tucked away enough to remain peaceful & quiet at night – perfect for a relaxing Christmas break. 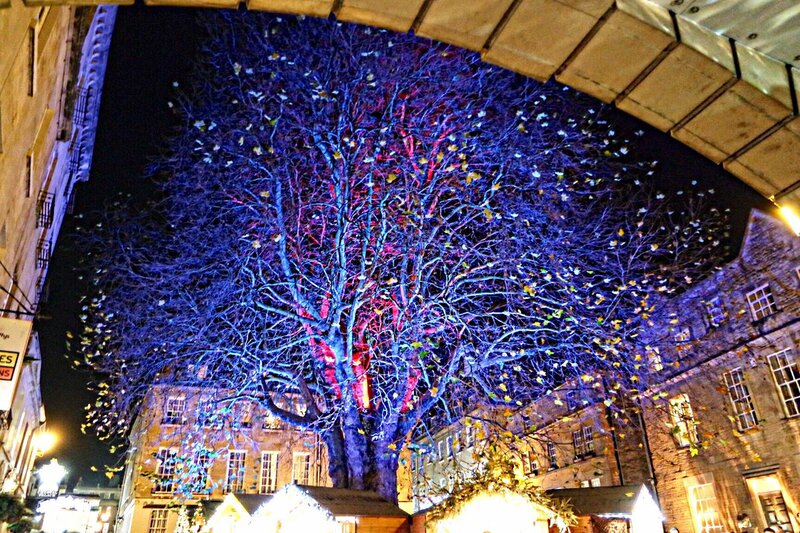 Last year an estimated 409,000 people visited Bath’s magical Christmas market! Check out https://bathchristmasmarket.co.uk/ for all the info. The award-winning Bath Christmas Market is back for its 18th year, with 18 days of magical merriment! With over 180 twinkling chalets spread out across the city’s picturesque Georgian streets, it’s the ideal place for a spot of Christmas shopping. From unique homeware to personalised presents, Christmas decorations, handcrafted jewellery and more, you’re guaranteed to find something special for your loved ones. It is our chalets and the individual stallholders who make our Market so special and unique. Over 80% of our stallholders comefrom Bath and the South West, and an impressive 99% of all products are either handmade by the stallholders’ own hands, in Britain or abroad with Fairtrade certification. When you shop at Bath Christmas Market, you are also supporting all of the wonderful small business owners. New for 2018: Bath Christmas Market is extending into Milsom Street. Admire the stunning Christmas lights, soak up the festive atmosphere, and sample warming mulled cider and mouth-watering raclette-smothered jacket potatoes. Each year, Bath Christmas Market has a selection of pop-up chalets on Bath Street for a limited time only. We are passionate about supporting small businesses and offer these micro-businesses short-term lets because they would not be able to operate for the full duration. It is a great reason for you to visit the Market again and again, to see which up pop-up businesses are open that week. Whilst at the Market you’ll always find a range of excellent food, perfect for warming you up on a crisp winter’s day. The memorable atmosphere, created by the hustle and bustle of the market infused by aromas of festive, warming food, is bound to get you in the Christmas spirit. For somewhere more cosy and indoors, The Lodge is the perfect place to put your feet up. It can be found right at the heart of Bath Christmas Market on Stall Street. You can find more information about places to eat and drink in the city at visitbath.co.uk/feast. Bath Christmas Market is proud to support local charities. Throughout the Market, a different local charity takes a chalet for free every single day. That’s 18 local charities who are able to raise over £10,000 for their causes! This offers a fantastic opportunity to raise the charity’s profile and build awareness, as well as raising valuable funds. Bath Christmas Market also donate Christmas trees and other items once the Market has closed to charity.